Pro-Life or Pro-Choice? Where Do We Go From Here? 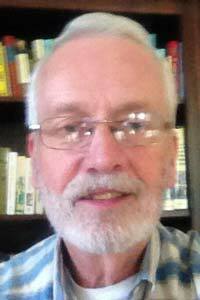 By Edgefield Advertiser on August 27, 2015 Comments Off on Pro-Life or Pro-Choice? Where Do We Go From Here? The controversy behind those two choices is not a new one, and it certainly didn’t either begin or end with the Supreme Court’s 7-2 decision in Roe v. Wade, a decision that has now stood for 42 years. Many deep moral and religious arguments swirl around the court’s decision, itself based on a broad interpretation of the Constitution’s Fourteenth Amendment. The split court’s decision hinged on when, roughly speaking, a potential human being becomes an actual person with rights separate from those of his or her mother. That argument is fraught with implications. Who gets to decide that? Is that a medical question, a legal question, a religious question? It is of course, all of the above. When I was a younger man, I knew a lot more than I do now. I knew the answers to such questions, back then. Notwithstanding that there was no consensus within the medical profession, and there was dissension among nine Supreme Court justices, and there were strong ethical and scripturally based arguments among the many Churches and Synagogues (not to mention Mosques) in our nation, it was clear to me. Then I married, and began to see the issue from more than just a young man’s point of view. And I became the father of a daughter who, like so many young women, was out on her own too soon for Dad’s liking and away from the protections of home. That affected my thinking, a lot. And now I find myself with a granddaughter who will be growing up in a society much different from the one I faced growing up before Roe v. Wade. My perspective has changed. And in those 42 years, medical science has changed, legal thinking has evolved, and religion has changed, too – but it still comes to widely different ethical and scripturally based conclusions. So now, with many years’ experience under my belt and no longer having just a man’s perspective, my conclusion is this: I want the government involved in these very personal decisions to the smallest extent possible. I don’t want them to decide for my wife, nor for my daughter, nor for my granddaughter, nor even for the unborn – not the federal government, not the state government, not the local government either. Yes, they need to balance rights of women with rights of unborn potential people, but they should have “hands off” as much as possible. The decisions are just too personal, too varied, and too ethically uncertain for politicians, particularly male politicians, to decide. Roe v. Wade, as nebulous as its legal arguments are, is likely as good as it gets in striking that balance, and then backing away. A better option for those of us (and I suspect it’s pretty much all of us) who claim to be “Pro-Life” is to make sure our government is involved in this: ensuring that children anywhere in our nation, once born, are then well fed, and that they are adequately housed and well cared for, especially when they are still new to this world. That means that their parents are given assurance that at least one of them can stay home and still be guaranteed pay from their job while that child is in his or her first several months, that they can stay home and still be paid likewise when the child is ill as she or he grows up, and they can be assured that we as a nation will provide both parent and child with adequate medical care, with all of us helping to pay their doctor’s bills. And it means that child, once born, will be guaranteed an education from pre-K up to the limit of his or her ability, without having to mortgage either their own or their parents’ future in doing so. To do less than this, to focus just on the unborn, to wade into that controversy claiming the certainty that is clearly missing from our medical, legal, and religious leaders, is not being Pro-Life, it’s being just Pro-Birth. What happens next with those children who are, in fact, born should define us as being Pro-Life. Rather than carrying picket signs and engaging in shouting matches pitting “Pro-Birth” against “Pro-Choice,” let’s resolve to engage our governments – federal, state, and local – on those parts of being “Pro-Life” we should all agree on: supporting children, once born.